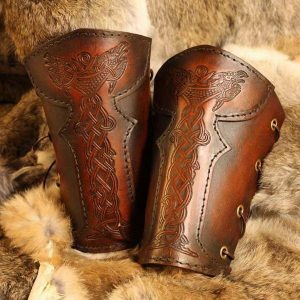 The Gunnar LARP Leather Shoulders are one of the most unique designs to be offered by Black Raven Armoury , they have been professionally dyed and built for you by ourselves. Created & designed by Alex Agricola, the whole set is made of premium grade top grain 3.2-3.5 mm Veg Tanned leather. 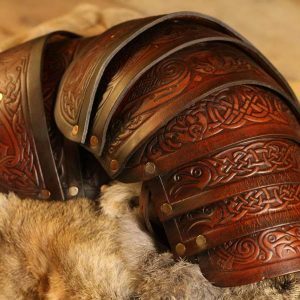 Designed with comfort and protection in mind by Alex Agricola, Black Raven Armoury’s founder the Gunnar leather Shoulders are tough leather shoulder guards often called a pauldron. They Gunnar Shoulders are formed of multiple layers of premium grade top grain 3.2-3.5 mm Veg Tanned leather which have been hand-dyed and embossed with a stylish knot work design. 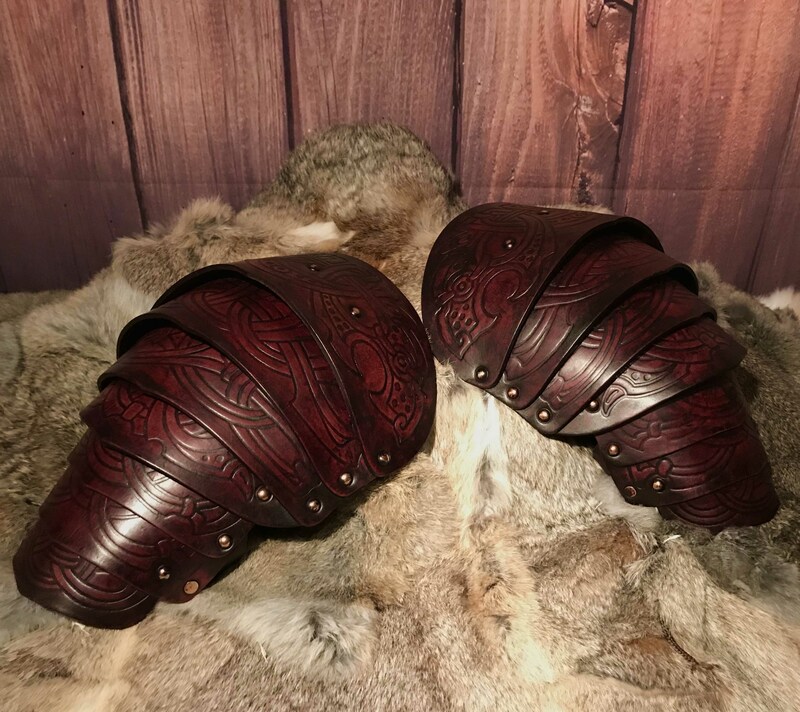 The Gunnar Leather Shoulders / Pauldrons are a perfect match for The Gunnar Leather Body, or can be work alone or with a number of accessories to create a variety of authentic, functional looks for a? multitude of characters and occasions. This armour is designed to? 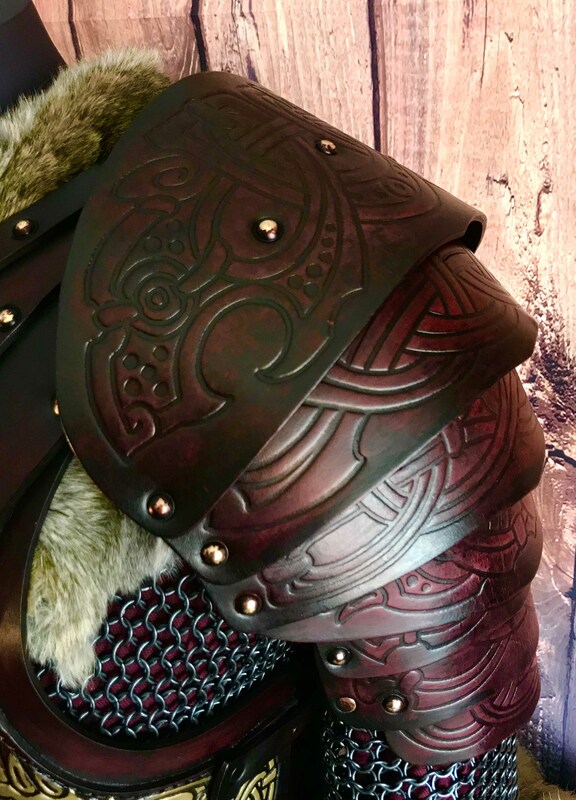 be worn and used and is suitable for LARPING, re-enactment or theatrical use, detailed enough to be used on screen and will stand up to close scrutiny and the sternest critique.